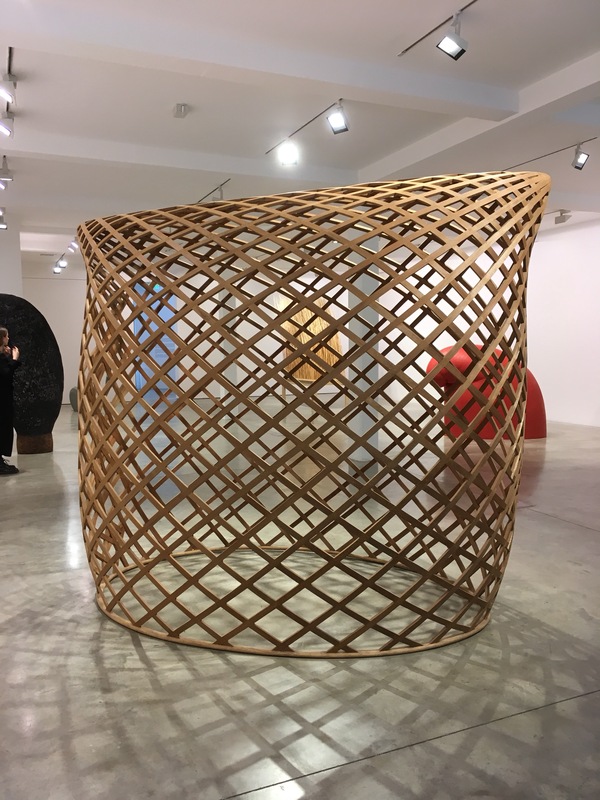 Space and material are prominent in Martin Puryear’s peaceful retrospective at Parasol Unit. Brunhild is an enclosed space, but nonetheless conveys openness through the broad curves of its wooden trellis structure. In Sheep’s Clothing and Big Phrygian by contrast have a very solid presence, strong in the space they occupy. In Sheep’s Clothing is hollow, I peered into the small opening and inhaled the fragrance of the pine. Many of the sculptures are wooden, and the iron works look as if they were originally carved in wood then cast. The works generally feel very organic, all handmade with respect for the materials. 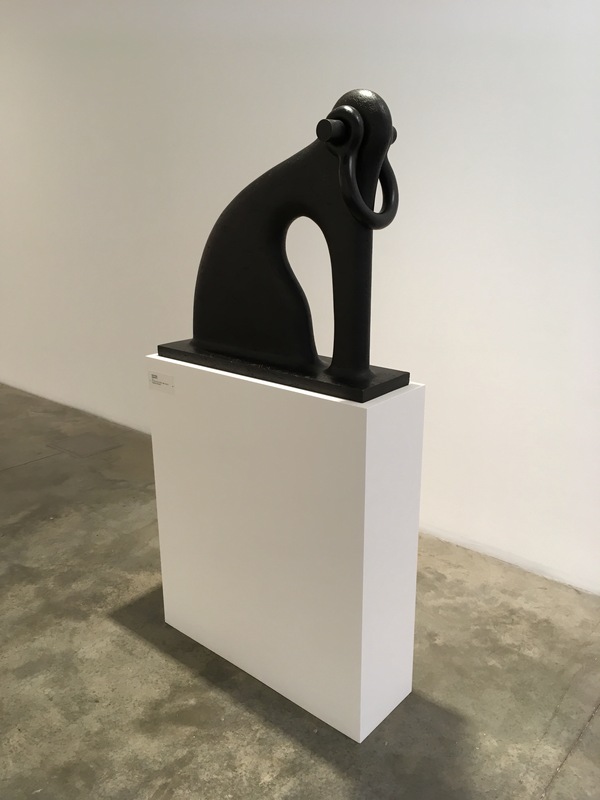 Puryear’s work respects and reveres craftsmanship and the natural. The sculptures are motionless but there is a sense of air and movement nonetheless. Night Watch is like a section of a field, long grasses blown in the wind. The inflated shape of Brunhild suggests a breeze. Where Brunhild breathes, however, The Load tightens and encases, hard to place within the exhibition. It shares with Shackled, a heavy iron work, a recognition of human history. 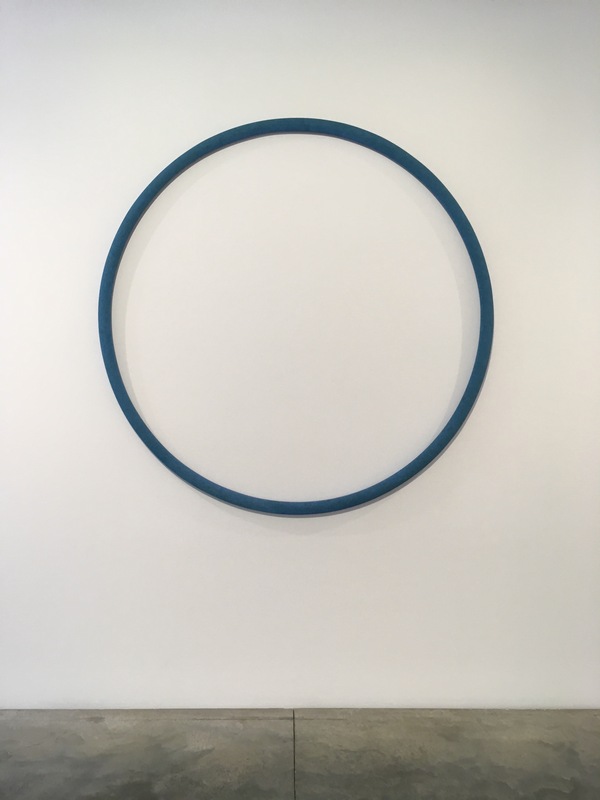 Peacefulness is restored elsewhere with works like Cerulan, a near-perfect circle, almost meditative in its shape and colour. 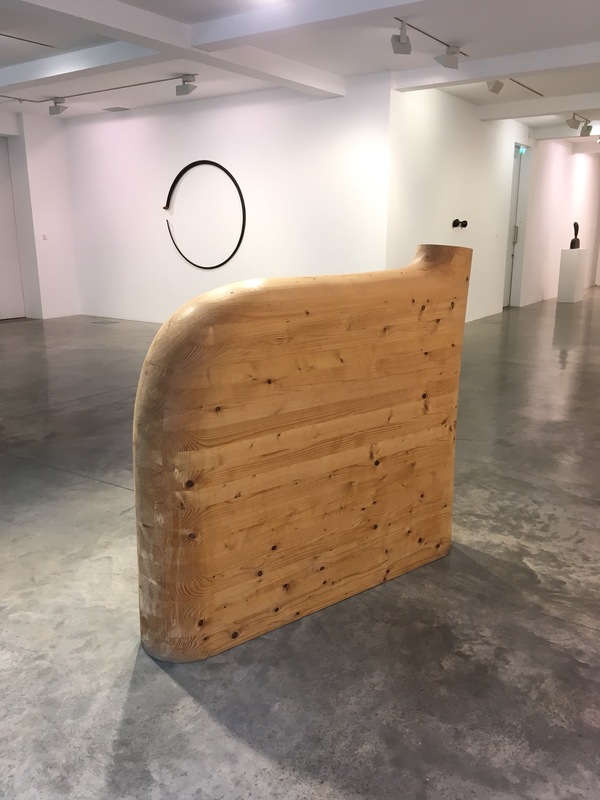 While Happy Jack needs a bigger room to be fully appreciated, and Puryear’s prints feel hidden in the seperate gallery upstairs, the main galleries of Parasol Unit generally suit these works. It’s less like a white cube than it otherwise might have without the extension of the gallery into the green outside space. Perhaps it’s the presence of Puryear’s works – the outside is contained within them.